For those of you who follow me on twitter, you’ll know I was in Hawaii some weeks backs. 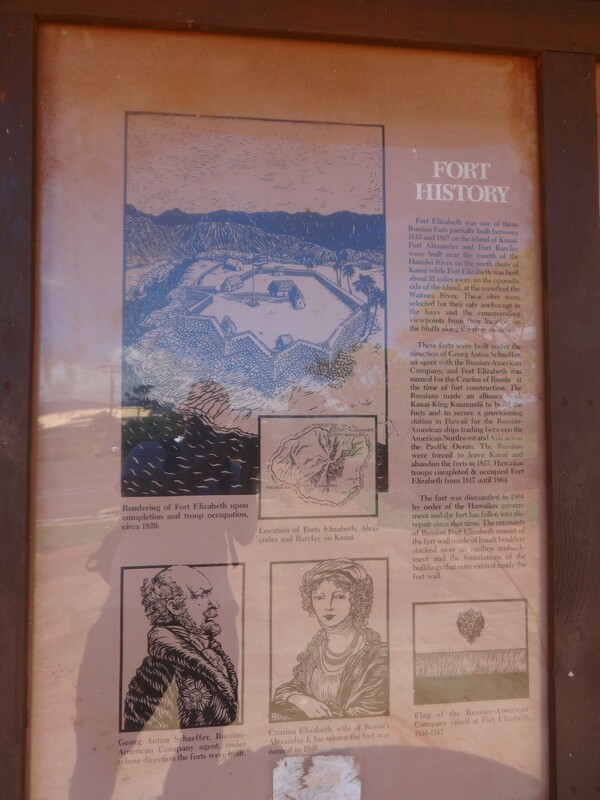 While I was there I took a trip to a place that is little remembered outside of history buffs and locals on Kauai: Fort Elizabeth. 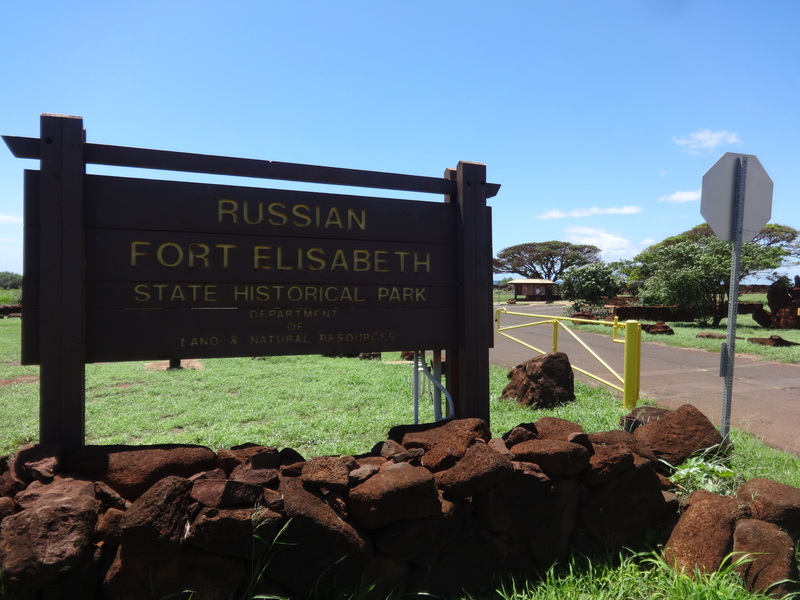 The fort is all that remains of the presence of the Russian-American Company (RAC) in Hawaii, some 200 years ago. And for of those who you aren’t familiar with the story, it goes a little something like this. When one thinks of the Russian Empire and its territorial expansion, it would likely involve the conquests of Siberia and the Russian Far East, of swathes of Central Asia and the Caucasus, and of the push south to the Bosphorus and the Black Sea. It may even conjure up romantic nostalgia of Russian Alaska, and the warm waters of Port Arthur. Few however would let their thoughts drift to the Pacific paradise of Hawaii, and the Russian flag flying high on the southern end of Kauai. 200 years ago, during the chaotic operations of the Russian-American Company, that is exactly what happened, in an episode as farcical as it was unlikely. By 1815 the RAC had ventured down the west coast of what is now the USA, setting up colonies in Alaska and California, and having made a number of failed incursions in between. Desperate for cheap supplies of salt, food and sandalwood for the colonies in Alaska and Kamchatka, attention had previously turned towards Hawaii. A hostile takeover was never seriously considered, but regular ties were enthusiastically established with King Kamehameha around 1804. At this time the king was carrying out his ultimately successful goal of uniting the islands under his leadership, but there was still some recalcitrance on Kauai, with Kaumuali’I retaining ambitions of ruling the islands himself. In 1815, this stand-off would lead to the calamitous attempts to establish a deeper Russian presence on the islands – the ‘Schäffer Affair’. Georg Anton Schäffer was a German physician employed as a surgeon on the Russian ship ‘Suvorov’, but after a disagreement with the captain he disembarked in Alaska and was hired into the service of the RAC by the governor of Sitka, Alexander Baranov. It was from here that he was inexplicably selected to lead a company delegation to the Hawaiian Islands to retrieve goods and cargo worth 100,000 rubles that had been seized by Kaumuali’I, after the ‘Bering’ had ran aground on Kauai. Why the doctor was chosen for an ostensibly diplomatic mission is not fully clear, but he set sail and arrived at the court of King Kamehameha to charm the leader and get back the company cargo. Court intrigue was firmly against him as American and British representatives tried to set the king against a Russian presence, but after winning him over with medical assistance, Schäffer received parcels of land and permission to set up trading stations, which he carried out with high enthusiasm. This did not, however, satisfy the goal of the mission, which was the retrieval of the seized cargo on Kauai. Without being able to receive any further concessions from Kamehameha, Schäffer waited for the arrival of reinforcements and then set sail to Kauai in May of 1816 to take a more forceful course of action. When Schäffer arrived on Kauai he achieved an unexpected success: Kaumuali’I pledged allegiance to the company and the Tsar, agreed to reimburse the company for their financial losses, and promised to grant them a monopoly on the sandalwood trade. Kaumuali’I himself raised the Russian-American Company flag on the island, and promised 500 troops if they would help conquer the other islands. 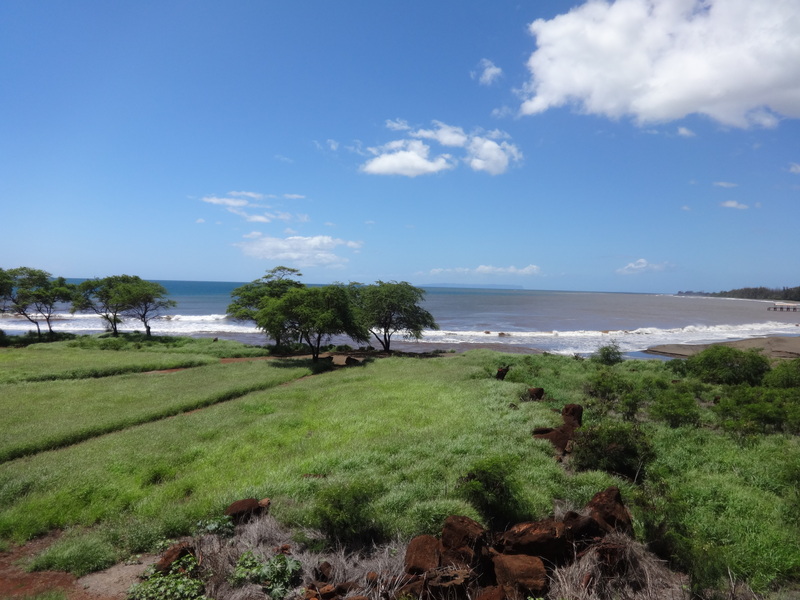 Work was soon begun on Fort Elizabeth in Waimea Bay, and two other forts in the north around Hanalei: Fort Alexander, and Fort Barclay-de-Tolly. By 1817, it seemed that an unlikely and outrageous Russian move on the islands was underway. However, not all was as rosy it seemed. Kaumuali’I was not offering such obedience and humility out of love for the Russian Empire, he was setting his sights on victory over his old foe Kamehameha, and after American support had abandoned him by 1815, the Russian arrival soon after was too convenient an opportunity to pass up. Schäffer’s growing sense of prominence was a cruel delusion. While Schäffer was plotting on Kauai, the Russian military brig ‘Rurick’ arrived on the big island without any idea of the trouble the doctor was causing. A 400-strong Hawaiian force greeted the brig, and it was only after some tactful diplomacy that the captain, Otto von Kotzebue, persuaded King Kamehameha that he knew nothing of Schäffer’s plotting, that the Tsar wanted nothing to do with him, and that their visit to Hawaii was solely peaceful for the purposes of resupplying the ship. Shortly afterwards, the American presence on Hawaii firmly rallied behind Kamehameha and pledged ships and arms to oust Schäffer. Despite a failed attempt to storm the island and tear down the Russian flag, Schäffer was soon chased from the island in a barely sea-worthy boat, arriving in Honolulu under the white flag of surrender. Despite the trouble he was in, Schäffer was given a stroke of good fortune in June of 1817 when a captain he had treated in the past agreed to take him on a one-way journey to Canton. The Schäffer Affair had come to an ignominious end. Although Schäffer had grand ideas of annexing the islands for the RAC, and by extension the Russian Empire, he did not have the backing of his superiors. The company often mused about the advantages of possessing even one Hawaiian Island, but realistically it was doomed to failure. Not only would American and British interests collude against them, but the Tsar was entirely opposed to the notion and was more concerned about strengthening his hand in the west, not in the east. Indeed, he was completely dismayed at the whole affair and would later attempt to reassure the Hawaiians and Americans that he had no desire to annex part of the island chain. Schäffer would later turn up in Brazil, where he eventually saw out his life. 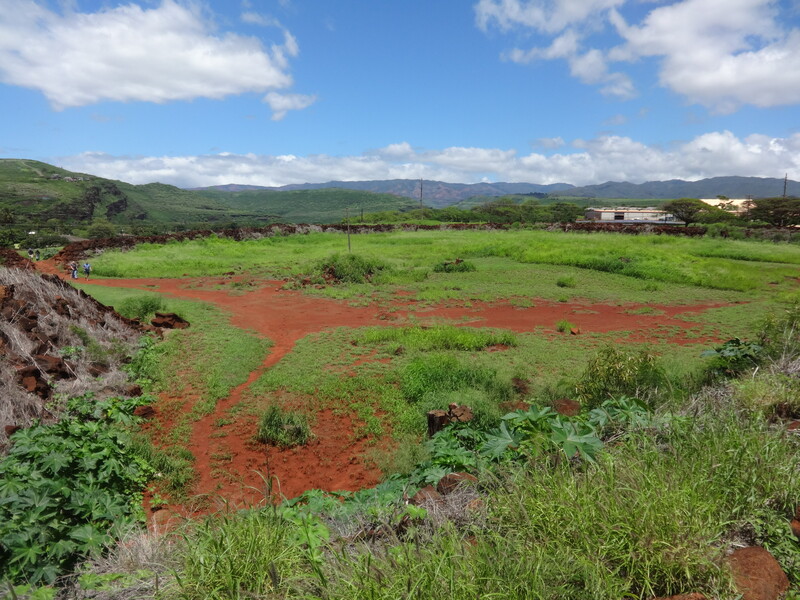 Today, there is almost nothing left of the Russian presence of Kauai. The two forts to the north in Hanalei are gone, but to the south in Waimea Bay, just before the entrance to the town of Waimea, the last remnants of Fort Elizabeth can still be seen. The outside walls still partly stand, and the site is administered as a State Historical Park. 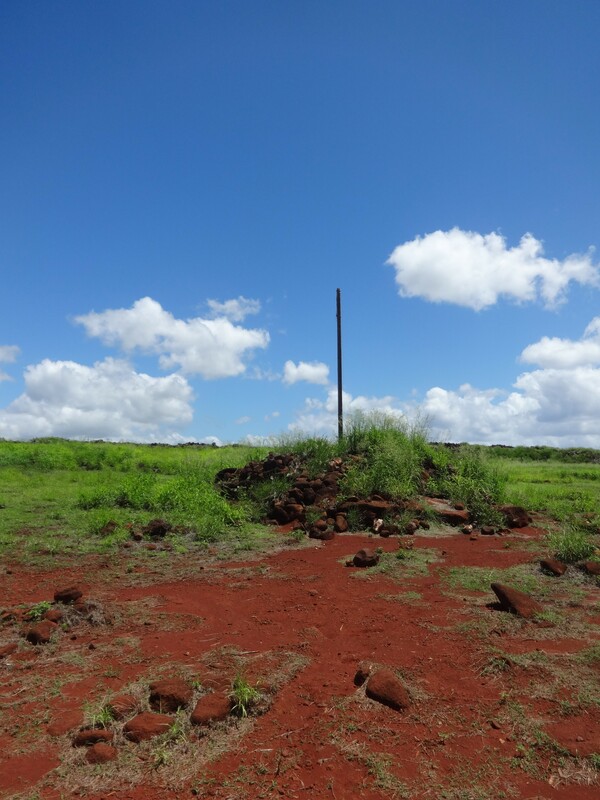 Most striking about the area is the iron-rich red soil, which at the time was considered symbolic of the powerful and sacred nature of the site. And most prominently in the middle of what was once the fort, the flagpole still reaches upwards, where 200 years ago the Russian flag flew under the Pacific sun. A rendition of how the fort would have looked. This entry was tagged Гавайи, Георг Шеффер, Дальний Восток России, Российско-американская компания, Россия, Русская Америка, Georg Anton Schäffer, Hawaii, Russia, Russian America, Russian Far East, Russian-American Company. Bookmark the permalink.